Nine days ago I attended the Charge Together electric car event in Adelaide and scored some sweet electric rides. 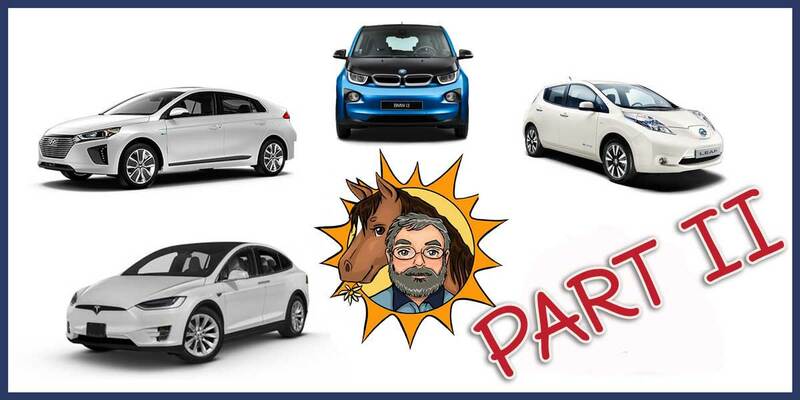 Last week I wrote about 5 specific electric cars and today I’ll describe what I learned about driving electric cars in general from their owners. I’ll cover range anxiety and how it’s not really a problem provided you get an electric car that suits your needs. I cover charging at home, at public charging stations, and even what to do when out-the-back-of-Burke and desperately seeking a charge. I’ll even cover a little bit of electric car history. One interesting thing I learned at the charge together event was the first production car ever made was electric. It was built by Thomas Parker in the UK in 1884. Then I went home, checked this on the internet and promptly unlearned that fact. So while electric cars have been around for over 150 years, only now are they poised to take over from internal combustion engine vehicles. Of course if petrol and diesel cars had to pay for the cost of their pollution, the poising would have been decades earlier — but I’ve already gone over this in another article. Families with two or more cars are the norm in Australia. My parents are a two person household and they have two cars. My sister has a two driver household and she has about eight. (Actually, I think she may be down to seven now.) For many households it would not be inconvenient to have one short range electric car for use around town while using their other vehicle for longer trips — whether that vehicle is a hybrid, plug-in hybrid, or conventional infernal5 combustion engine. To “fuel” their electric town car, all a household will need to do is plug it in at home. At home all an electric car requires is a 15 amp power point, which is a simple job for an electrician to put in. It will depend on the vehicle, but generally this will allow around 20 kilometers of range to be added per hour. So if you park for 10 hours overnight that will allow for around 200 kilometers of range to be added. As the average passenger car is only driven around 40 kilometers a day, that should be plenty. If a 15 amp socket isn’t available an adapter will let you charge at a slower rate from a regular 10 amp power point. An EV6 charger can be installed in your home and allow over 40 kilometers of range to be added per hour. I have been told that overseas some car warranties require a specific charger be installed in your home. So that is something to look out for as they are not cheap and can cost over $2,000. Any new electric car will be capable of some form of fast charging at public electric car charging stations. Just how fast you can shove energy into their battery packs depends on the car and the charging station. Cars with larger battery packs and liquid cooling systems allowing more rapid charging. The current champion is Tesla and its supercharging stations can provide an almost-flat battery pack with up to 120 kilowatts of power. This can add up to 200 kilometers of range in 20 minutes, but, just like with a smartphone, the charge rate slows down the closer the batteries get to being full. It will take 55 minutes to go from half charged to fully charged. But you may never need to need to wait until it’s at 100% because Tesla superchargers are pretty close together. Only if you were driving away from the supercharger network might you be tempted to wait for a 100% charge. 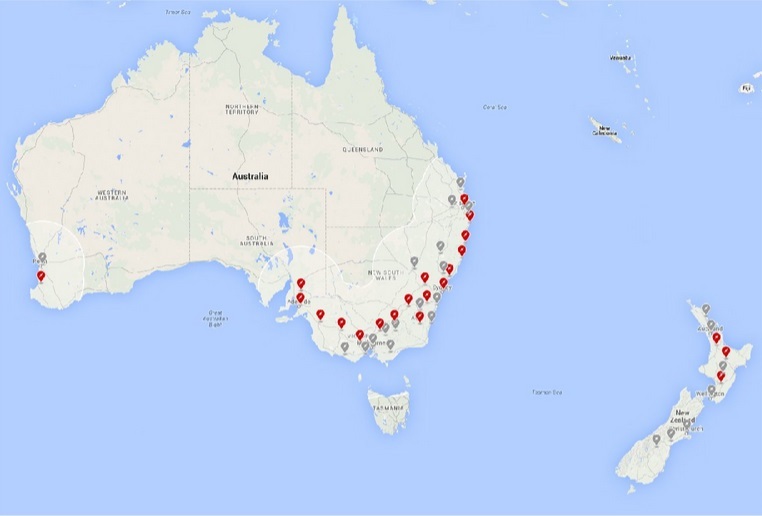 Australia and New Zealand’s Tesla Supercharger networks. The locations in red exist and the ones in grey will soon be coming. The Nissan Leaf battery pack doesn’t have a liquid cooling system and is air cooled. Continually charging and discharging the battery generates heat and being at a high temperature for an extended time is bad for batteries. If its batteries become hot for a long period due to continual driving and charging the Leaf will slow the rate at which it can be charged. So perhaps the third time its charged in a day will take a long time. This is something to keep in mind if you are taking a Leaf on a long distance trip. It may be possible other cars with air cooling have a similar issue, but those with liquid cooled battery packs should not. If you are not at home and there isn’t a public electric car charger available then there’s no need to despair. There are still plenty of places to charge. Caravan parks have 15 amp power points and it’s also possible to use three phase sockets at businesses and showgrounds. These locations can be recognized car charging points or you can simply ask nicely if you can charge your car there. I asked every owner of an electric car I met if they had rooftop solar and all of them said yes. I also asked how large their systems were and they all had itty-bitty teeny weeny ones. Typically it was only a couple of kilowatts and incapable of matching the electricity consumption of an average home plus an electric car. It makes no sense to block people who are eager to install more solar from doing so. The state should say, “Here’s some money, take it and install a larger solar power system if you want, but your new solar panels will only get the same feed-in tariffs available to everyone else.” This would be win-win as people who want more solar capacity could have it while the cost of paying for old, high feed-in tariffs could be reduced. Actually, it would be win-win-win as the world would have more clean energy. Compared to other rich nations Australia is well behind when it comes to electric car uptake. Last month, 37% of new car sales in Norway were fully electric with another 27% being plug-in hybrids. The share of new petrol cars was 20% and diesel 16%. In March there were 5,322 fully electric cars sold.10 Australia, with 4.6 times as many people may have bought 200 electric cars last month. But I suspect it was less. The difference is not surprising given the large subsidies for electric vehicles in Norway. Australia’s current Federal Government is unlikely to give subsidies or make petrol and diesel vehicles to pay for the harm they cause to the climate and people’s health. Unless of course they think it will get them reelected. Five hundred and eighty-one days is a long time in politics and who knows what will happen either before or after the next Federal election. I have owned 5 electric cars when most people have never owners ONE in their life time. The sad part is that humans are creatures of habit and most will shy away from an EV simple because they are more comfortable with an ICE vehicle. There should be a national campaign to get people to TEST drive ANY EV and most people after that experience will think differently about what an EV is and dispel so many the myths that continue to be out there. Range anxiety is WAY overblown as you say and I agree. Why would anyone buy ANY vehicle just to run out of either gas or electricity to get them from point A to point B? My current EV only gets 50-60 miles per RT on a full charge, but that works fine for us as our typical trip is only 40 miles RT, so we drive the EV over than 90% of the time. Our second car is a Kia Niro HYBRID which averages about 50 Mpg and drives on battery power quite a lot. The EV currently has over 53,000 miles on it with very little loss of range. The warranty on the battery is 100,000 miles. It was purchased in 2012. My belief is that every family that has two cars should have an EV and Hybrid for those really long trips to see family or friends when an EV cannot do the deed. But really with a charging station available that doubles your EV range. Think about that for a moment. I have got over 100 miles on my EV because I would go to an event, have the car on charge DURING the event and when the event was over the car was fully charged and that effectively doubled the range of my EV. As time passes the range will only get better and better as battery technologies continue to improve. With many countries actually banning the sale of the ICE (in teh future) it WILL be only time before the ICE will be replaced. The inherent benefits of an EV are simply to big to ignore any longer. One last thing. As you noted that every person who had an EV are also owners a PV system. You also noted that none of them had arrays large enough to actually charge them just off a PV array. That will change as battery storage continues to fall and the price of PV as well. PV and EV are a natural together because once your PV is painfully d for then all yoru energy that goes into yoru EV is then FREE. Your “gas station” is now at your house and NOT on some distant corner miles away. That, by the way is a great benefit to an EV. 98% of people who own an EV charge AT home. That will not change. So when are you going to purchase an EV Ronald? How do you plug the horse in Ronald? There are no horse plug-ins at the moment, though a lot of show horses you see do have mane and tail extensions. I expect the next car I buy will be electric, assuming low cost robo-taxis don’t make it unnecessary. There is no such thing as bagpipe music. Definition of a gentleman: a man who knows how to play bagpipes, and doesn’t. On a different note*, thanks for the article. Could you do one with prices of current and expected, i.e. within the next 6-12 months, EVs and hybrids available? If you’ve already done one, can you provide a link? The electric car owners with small systems can always buy low emissions power from the grid to charge their cars and supplement their smaller rooftop solar systems. Mate of mine’s been driving a Camry Hybrid for several years now, and it’s most impressive. But I still think the either/or approach shuts too too many gates….and the horse isn’t the least bit interested in bolting. Moreover, from a pollution point of view, emissions are comparable to burning natural gas. *Used to know an old bloke who ran a dairy-farm on some island off Tassie exlusively on biofuel from just about any source. Huge concrete pipe he filled with his backhoe a couple of times a week. After filtering/cooling/etc the gas was fed through a clunky old International truck engine powering generators off the back wheels via belts. It could also be compressed into a gas-bottle and burned. Lights/hotwater/etc. I think alternatives are ALWAYS important, if for no other reason than that there’s less chance for interference from ‘authorities’/tax-collectors. ooops :- hydrogen gas FROM solar-panels. As soon as the first manufacturer of a car with >500 km comes out which allows V2H, I’m in. In our case, we use a car on average 2 days a week. Parking issues mean we use the scooter daily. For this reason, the vehicle as a battery source for household energy is viable for us. Forgot to add, >500 km range implies something like a 90 KWh batterywhich is 6 Powerwalls. Suddenly that expensive EV approaches being economically justifiable for a straw clutcher like me. Great response to a very useful article. Meanwhile, our experience with eBikes indicates that range anxiety _is_ overblown. We’ve never run out of electric assist, even on l-o-n-g rides. Mind you, we could cycle home if we did… . Agreed. My experience with an e-bike has cemented my decision to get an EV when one or both of our current ICE vehicles die. It has also convinced me that range anxiety is overblown. Looks like an autocorrect kerfuffle…? I find the truth is that people are scared of change, even though electric cars are the future , people feel safe with what they know . It is proven it is cheaper to run an electric car than an ice car , motor corporations have been happy to punch the same cars with a face lift for years , You just have to look at attitude of WV to see that they don’t mind telling lies about their cars just to make money . People don’t know the range that some EV have , a tesla Model 3 -100 D has a range of over 600 km ,people should not worry about charge the car on long trips the number of charging stations is growing each week you now drive from cans in north Queensland to South Australia , large shopping centres and hotels have charging is growing at a alarming rate , Queensland Government in collaboration with local councils and other partnershave rolling out the Queensland Electric Super Highway to encourage, support and accelerate the uptake of electric vehicles in Queensland. Which Firms provide those plug in electric hybrid vehicles? I have let Toyota know I shall be delighted to buy a plug in Prius but they won’t import them here. I have 5.3kw solar array with battery. I would like to charge my vehicle by day but be able to visit relatives 300k away and find a charger when I got there! It includes the plug-in version of the Hyundai IONIQ. It has a 45 kilowatt electric motor and maybe 50+ kilometers of all electric range, so provided you don’t have a lead foot it should let you do most of your driving in town using only electricity. While technically I guess that’s correct it’s actually worse than that – it’s passively cooled (no fan cooling) which means its at the mercy of ambient temperature. Given charging starts to throttle after the battery temps go above 38C (sometimes lower) it’s hard to recommend the 2018 Nissan LEAF for Australia. Not that you could buy one if you wanted to anyway. They still aren’t on sale downunder yet. Hold out for the 64kWh 2019 LEAF with new battery chemistry and active liquid cooling. Just returned after three months traveling in the US and Canada. Very impressed by the hybrid Toyota Rav4. 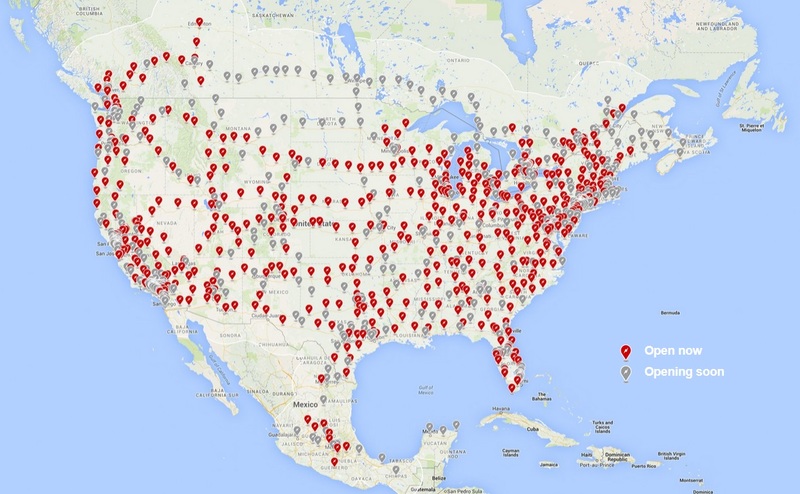 Impressed also by the immense number of Teslas we encountered on North American highways. We will probably bypass the Rav4 Hybrid and hang on for the Model Y Tesla, but may decide to get the Model 3, if wait time on the Y is too long… . It’s claimed the Y will be built in China. That may mean labour costs… and shipping costs to Australia make it viable, cost-wise. * Our guess for Y availability is 2021, but right now we’re considering a Seraphim system you reviewed positively some time ago… 24 Tier 1 panels. Around 2 kilowatts of solar panels will provide energy equal to the consumption of an electric car driven the average number of kilometers for an Australian passenger vehicle which is around 14,000 km a year. A 6.6 kilowatt solar system will produce kilowatt-hours equal to average household consumption with plenty enough left over for an electric car. If the car is usually parked away from the home during the day this means you’ll often be recharging it at night and though it will be use fossil fuel power then the surplus solar electricity your system will send into the grid will reduce fossil fuel generation during the day. If you’d like to ensure you will produce plenty of solar power for multiple electric cars in the future or a battery system once they become cheap enough, you can go above 6.6 kilowatts of solar if you have 3 phase power. Alternatively, if you have single phase power you can export limit your system and go above 6.6 kilowatts. Unless you go overboard you will lose little solar output doing this, especially if there are people at home in the middle of the day using electricity. Many thanks, Ronald. Any updates on Seraphim panels / Solis Inverter / Sunboost? I haven’t heard anything ungood about Seraphim panels. Solis is a lower cost inverter but it is what I would call good value for money. What seems to have not been considered is the use of the EV’s battery whilst garaged to actually be connected to the grid as a storage device when not in use , I have two cars one car my wife and myself use during the week for a runaround vehicle, the other is only used on a Saturday when I drive it to work round trip 100 is, if this vehicle could be connected to my solar panels I could possibly have 20kva of battery storage available so I need not be using the grid. And possibly not have to purchase a separate battery system saving $8000 or more. basically every EV could be a mobile storage system. One of the EV manufacturers (can’t recall which one) is proposing that very initiative, Robert. I’ll try to find the link… . V2G is so far only supported by the Nissan LEAF in Japan and Germany. 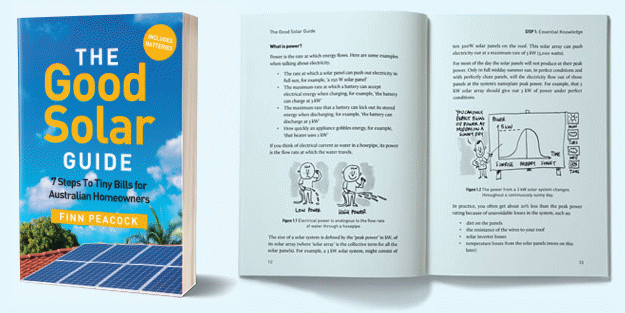 V2G does not work like a home storage battery – instead the grid draws power from the battery when needed to stabilise and the car owner gets paid by the utility for the power they use (like a feed in tariff). To use your car as a home storage battery you need V2H (Vehicle to home) which connects your house to the car battery. This technology is also coming. I don’t know if they can co-exist? Here’s a YT video of V2H using the Outlander PHEV which can also work as a very efficient petrol generator.